Smart Placements optimizes your content with timely ads for higher conversion potential. In the age of fickle consumer habits, disruptive technology and waning attention spans, now more than ever it’s crucial that you’re strategic about content creation. To help you blend creativity with timely topics for strong reader engagement, our own resident SEO expert, Gwen Kestrel, has proven professional advice. Read on for her insider tips on using our Smart Placements tool to keep content fresh and attractive to your audience all throughout the year. The key to meeting your audience at the perfect place and time on their journey is proactive planning to produce high quality, relevant content. Once you have the strategy and overarching dates down, you can earn more in as little as 15 minutes or less. Now that you’re all set up, use our following calendar guide to quickly and easily increase relevance with your audience in just 15 minutes or less. First, get out your calendar and mark down all the important dates for your audience. From holidays to special months (i.e. Women’s History Month), movie release dates, sporting events (i.e. Super Bowl, World Cup), conventions (i.e. if you have a sci-fi/fan site: San Diego Comic-Con, Worldcon, etc. ), awards (i.e. Emmys, American Music Awards, etc), big consumer holidays (Father’s Day, Black Friday, Cyber Monday, etc.) and so on. Be as thorough as possible. While you search, take note of the top keywords. These will come in handy for your calendar. Finally, decide on the day of the week when you’ll do your updates and stick to it. The following example calendar assumes that updates are done on Mondays or as early in the week as possible. If it’s essential that an update be done on Monday (because what’s being promoted is time-sensitive, like an ad for Mother’s Day or Black Friday), then add an asterisk (*) on the calendar to flag its importance. Once you’ve got all of the ingredients in place, it really will take you 15 minutes or less each week to update your banners in the portal. All you have to do is log into the EPN portal, update the keywords and text color for that placement, hit “save,” and voila! 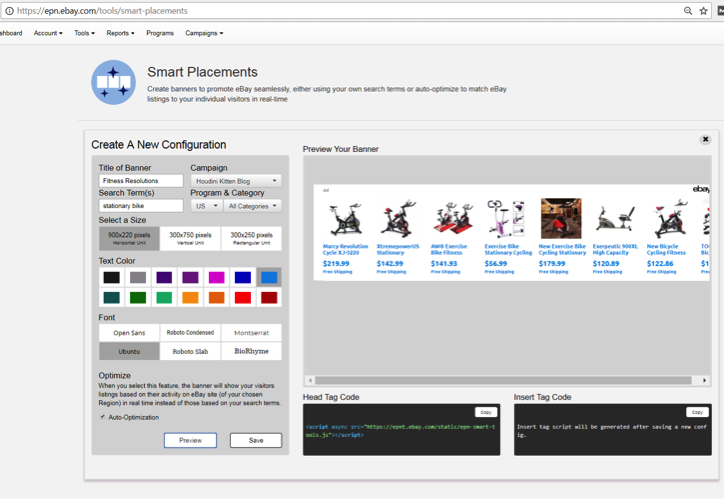 Your customized ad banner is automatically updated on your site -- no extra work involved! When it comes to keywords, I recommend listing multiple keyword possibilities. That way when you’re revising your configuration, you can put each in to see which preview fits your site best. 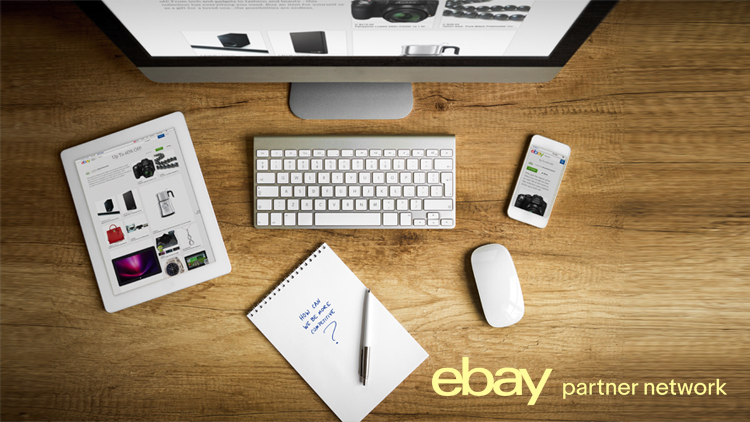 If you have any questions about Smart Placements or how to create a keyword calendar, let us know in the comments below or email AskEPN@ebay.com.